RATIONALE - The Food and Drug Administration (FDA) through the Center for Device Regulation, Radiation Health and Research (CDRRHR) is the primary agency authorized to enforce regulatory requirements on manufacture, importation, distribution, sale, and offering for sale of medical devices in accordance with the provisions of Republic Act 9711 also known as FDA Act of 2009, and its Implementing Rules and Regulations (IRR). As stipulated in the IRR, the CDRRHR is mandated to establish an effective regulatory system and mechanism to ensure the safety, quality and performance of medical devices in the Philippines. 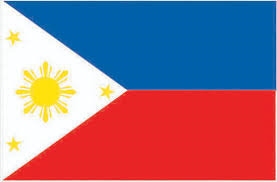 The Philippines as a signatory to the ASEAN Agreement on Medical Device Directive (AMDD), adheres to continuously harmonize the technical procedures and requirements to reduce diversity in the regulations of medical devices. The issuance of the guidelines on labeling requirements for medical devices, serves to communicate safety instructions related to information to users and/ or patients, as well as to standardize the required policy, and to assure the highest quality of medical devices used in the country. OBJECTIVE - This Administrative Order aims to provide guidelines on the labeling requirements for medical devices aligned with the provisions of the ASEAN Medical Device Directive. SCOPE - This guideline shall apply to all medical devices including In-vitro diagnostic (IVD) medical devices that are marketed and or sale in the Philippines.